Bonjour lecteurs! And bienvenue to our weekly dose of kids’ fashion! It’s been a long time since we featured a footwear brand but the one we are about to introduce is truly gorgeous! 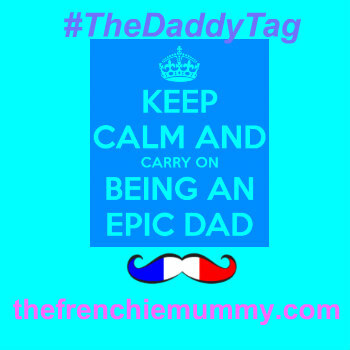 En effet, you will like it so much all you will want is to enter (and win) our fab giveaway for a $50 voucher to spend on the website! With this, you can without a doubt order a pretty pair of chaussures for your little one! Ready! C’est parti for Baba Fashionista with Mon Petit Shoes! 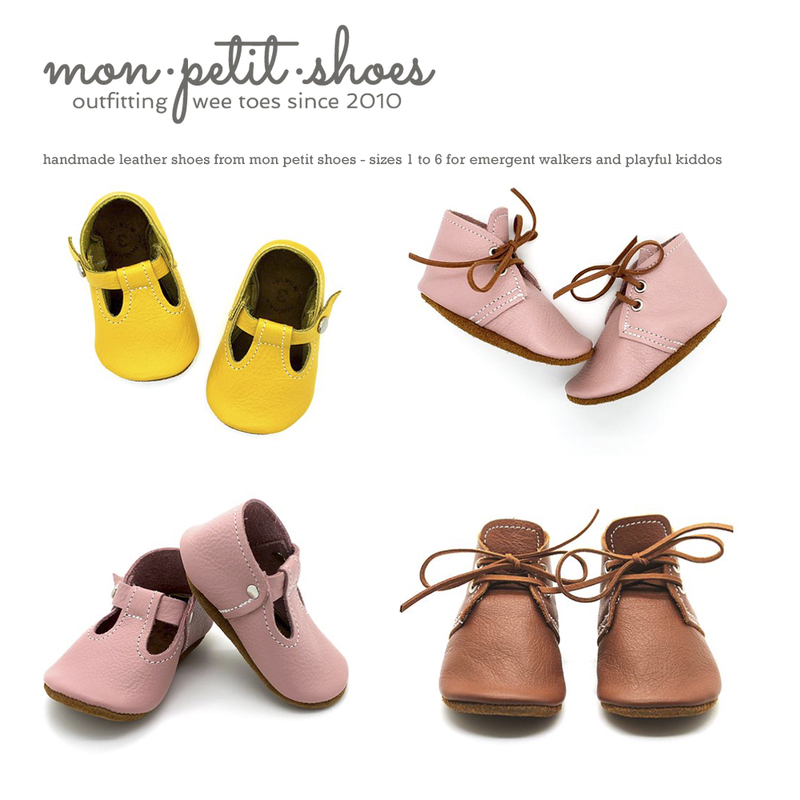 Mon Petit Shoes is not a Frenchie brand even if it sounds like it! Based in the US, this sublime label has been outfitting wee toes since 2010 and is so popular it is very fameux amongst stylish mamans! Another thing we really like about this brand? The owner, Julie is a mama entrepreneur. 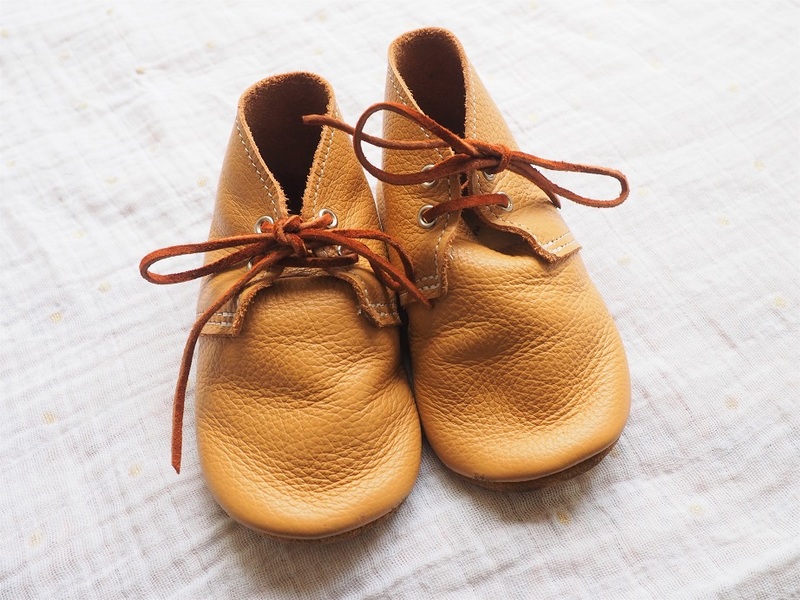 Like so many other mamans, she wanted functional and stylish footwear for her girls to wear. Idéalement something that was soft enough to swaddle a newborn in and sturdy enough for a busy toddler. So she created Mon Petit Shoes (I love the Frenchie sound of it, pas vous?). All their soft-soled shoes are100% handmade from start to finish. Chaque paire est fabriquée in Julie’s atelier with 100% genuine leather. 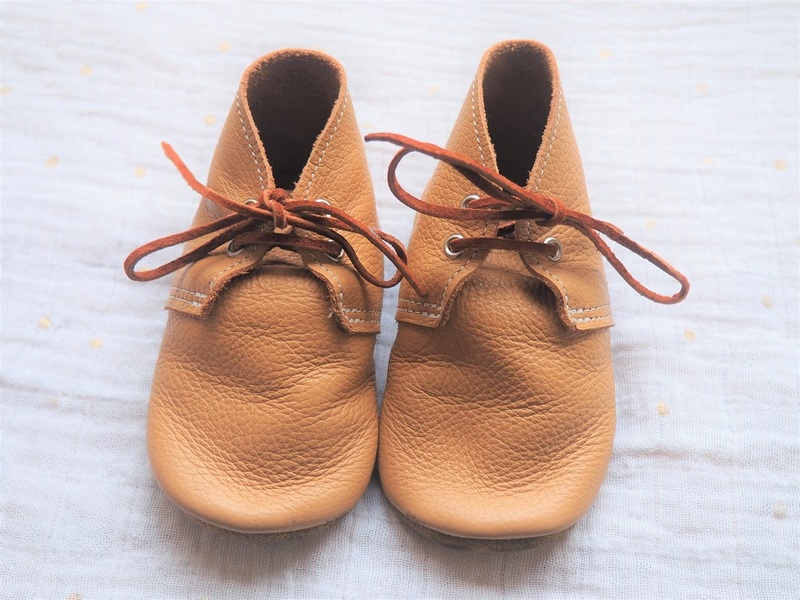 That is why the soft soles of these shoes help your emergent walker have success while a toddler like Baba can also make the most of it as the shoes stay on their feet. Et regardez les chaussures Julie sent us spécialement for Baba! This model we received is one of the most popular of the brand (the original soft-soled t-strap shoes is the other fab one!). The Oxford Shoes don’t only have a cute name (yet again, un petit detail that makes us think of Europe!). C’est la chaussure parfaite for a newborn baby to be swaddled. But it is also fab for an active toddler like Baba! The leather is very soft and therefore, it is easy to put on. En plus the laces are super sweet too and match the colour of the shoes. We love the sole with the brand’s trademark: it gives it an irresistible look as well as being very spécial! Those shoes simply look luxurious and so stylish! I love it in this light brown as it goes with pretty much anything in Baba’s wardrobe! But Mon Petit Shoes offers a large selection of shades and styles. The gold and the silver versions are amazing too if you have a petit fashionista in your house! The Oxford Shoes are truly beautiful and my Baba looks so trendy with them. 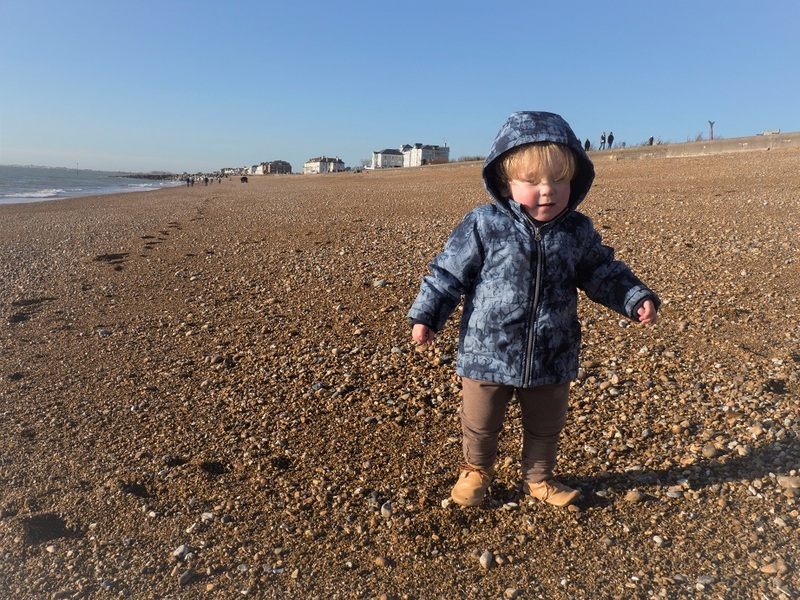 We even took them to the test on the seaside (oui, je sais... Leather Shoes are not working well with water but Frenchie Mummy forgot to bring his wellies!) and surprisingly enough, they survived! Hurrah! 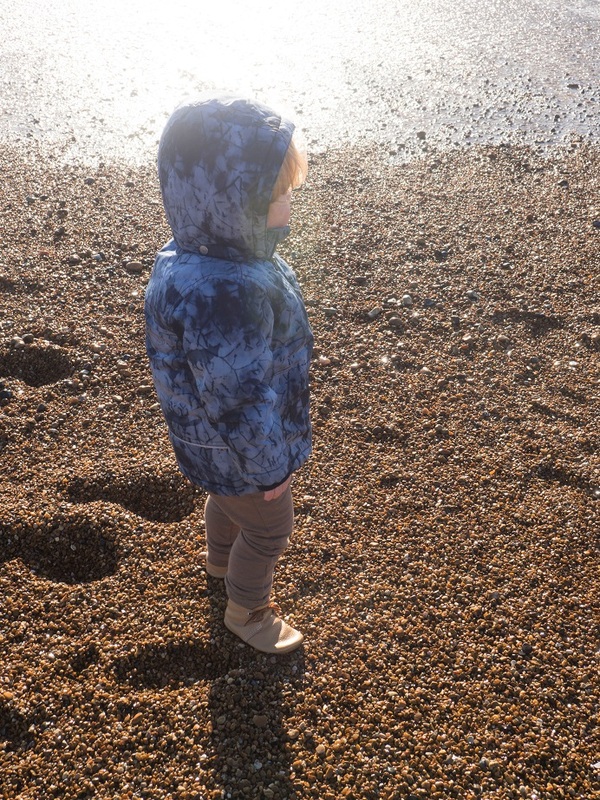 The shoes proved very durable, even in the most dangerous conditions Baba put them through! Frenchie Mummy (but not only!) is truly in love with Baba’s new shoes! Pourquoi? Because they look so stylish while being comfy for my little aventurier to explore the world. 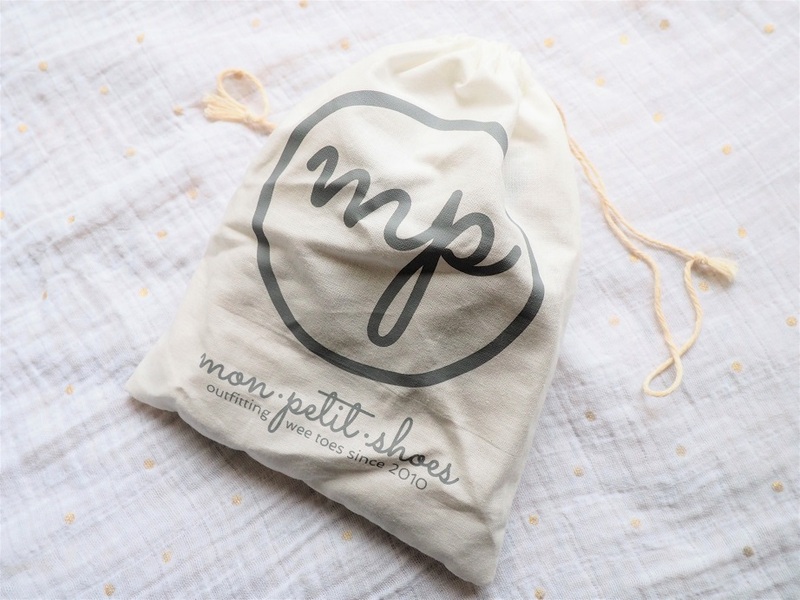 Mon Petit Shoes makes very beautiful soles with great taste. You can be sure to stand out with those are they are simply irresistible. Such a stylish babe, non? The fabric used is of very good- quality and each pair are truly unique. 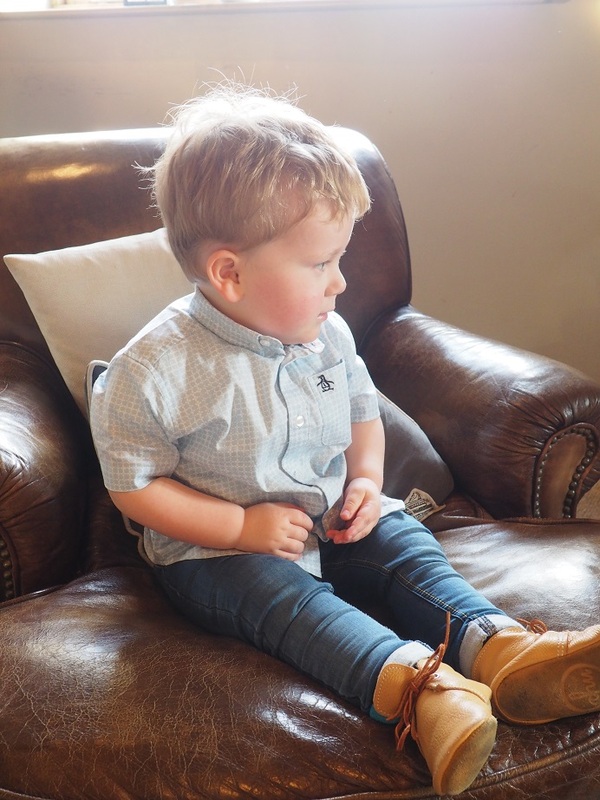 There are so many colours and styles available on the website, you can be sure you will find something that reflects your little one’s personality! No way you can resist such a classic look! These soft sole shoes are comfy and stay on your child’s foot so well! Looking so dapper even at the weekend! It’s a hit and knowing that my Baba is wearing something handmade just for him in the US is the cherry on top! Looking for the perfect first shoes for your bébé? Or do you want something very special for your little one? Feeling lucky? 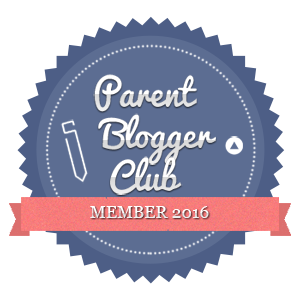 Don’t miss out on this fab giveaway! 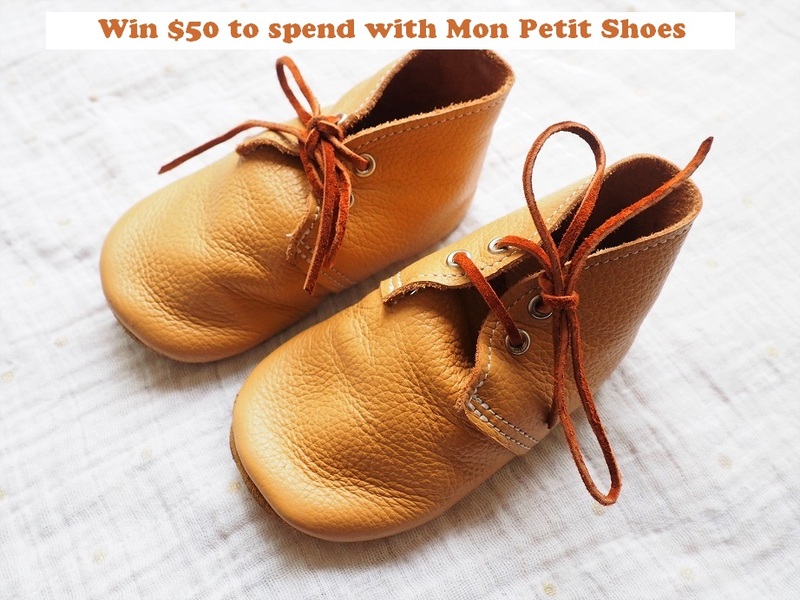 One of our lucky readers will win a $50 voucher to spend with Mon Petit Shoes! To enter this great Frenchie giveaway, simply enter it now via gleam! This giveaway starts on Sunday 14th January at 8 pm and ends at midnight on the 14th February. And this competition is open worldwide! 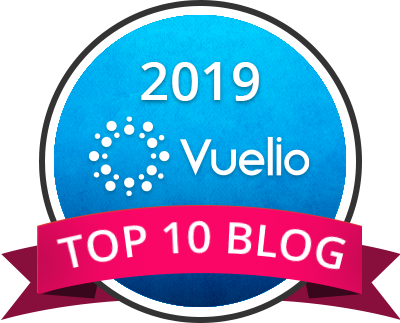 The competition is open worldwide so be in it! Provision of the prize is the responsibility of Mon Petit Shoes. Merci for reading Baba Fashionista with Mon Petit Shoes. We are so proud to feature such gorgeous brands as this one today and support mama entrepreneurs on the way! We will see you next week for more childrenswear from the US! Disclosure: We received the shoes featured in this post for free but all opinions remain my own! All their soft-soled shoes are100% handmade from start to finish with 100% genuine leather. Perfect. I like that they’re a good quality and each pair are unique. They are so cute and are very good quality! I love the range of colours they come in! Lovely quality, soft and stylish ideal for small feet.? I love that they look so comfortable! These are so cute! I love how they look so comfy (my little girl is verrrrrryy fussy when it comes to how her shoes feel)! I love how they are handmade! Love the little pink shoes, so cute. What a great giveaway. These shoes look so cute and comfy! Thanks so much for linking up at #KCACOLS. Hope you come back again next time ? They look stylish yet really comfortable, win, win…. I like how stylish they are and pretty too. I love the stylish, smart look of them and the fact that they are not in a “baby” design but very grown up looking! They look very comfortable, it’s as if they would mould to the shape of the foot. I like how they look so soft. They look very comfortable and stylish. Thanks for the competition. They most definitely look super stylish and cute at the same time.